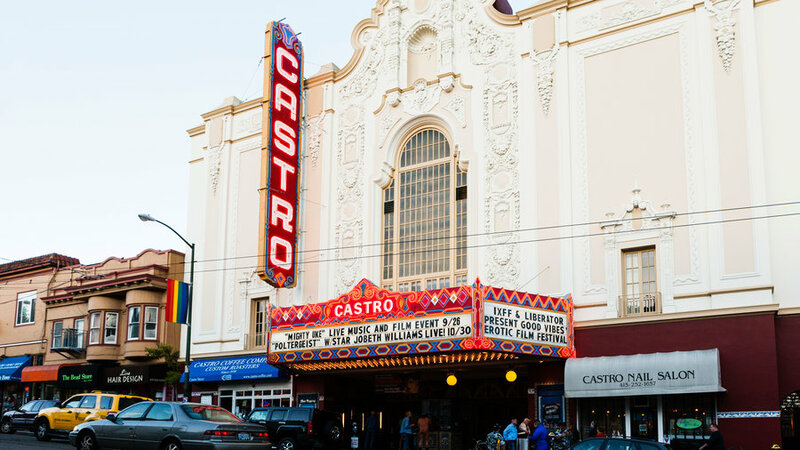 Standing tall and proud in the heart of the city, the 1922 Castro Theatre is iconically San Francisco. Its ornate Spanish Colonial façade nods to nearby Mission Dolores, its Art Deco chandelier sparkles like so much glitter, and its programming—which includes popular costumed Disney sing-alongs—resonates with fun-loving San Franciscans. This 1931 theater shines with Art Deco opulence, from the 10-story neon vertical “Paramount” marquee to the detailed gold reliefs that cover the auditorium’s walls, proscenium, and ceiling. 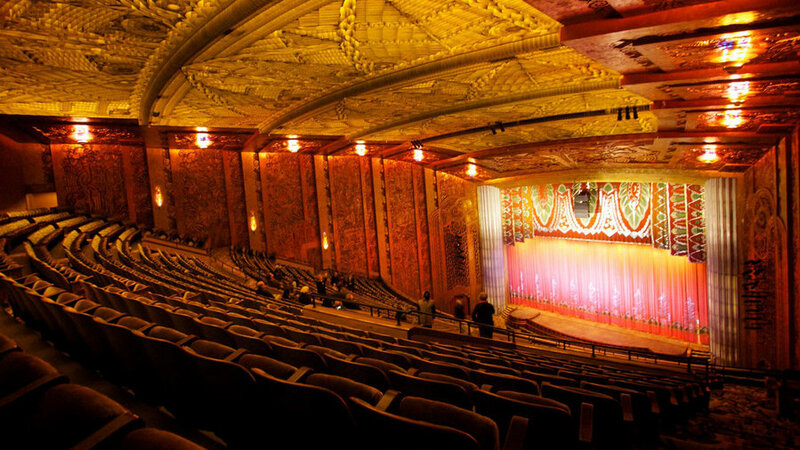 Saved from demolition in 1972, when the Oakland Symphony chose it as its new home, the theater now hosts concerts, ballets, plays, and classic films. When Chinese opened in 1927, with a premier of Cecil B. DeMille’s King of Kings, thousands lined Hollywood Boulevard, and a riot broke out as people jockeyed for position to see the celebs. 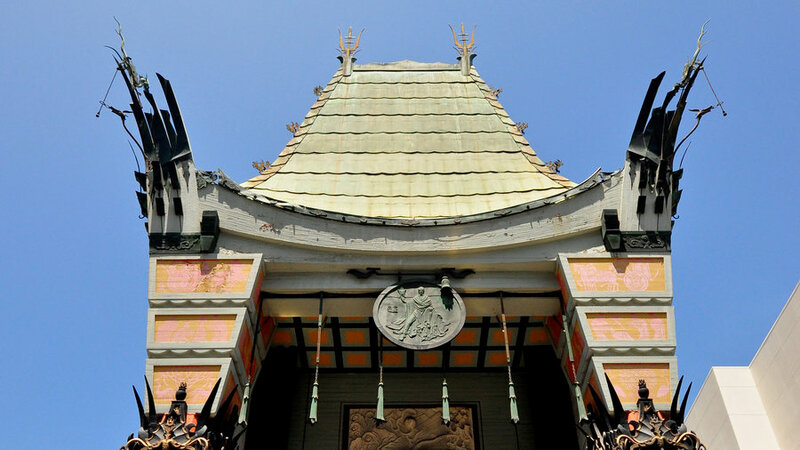 Things haven’t really quieted down since: each year, four million people come to admire the iconic theater’s pagoda-style entrance, marvel at the 30-foot dragon guarding the door, and walk (literally) in the footsteps of the stars. 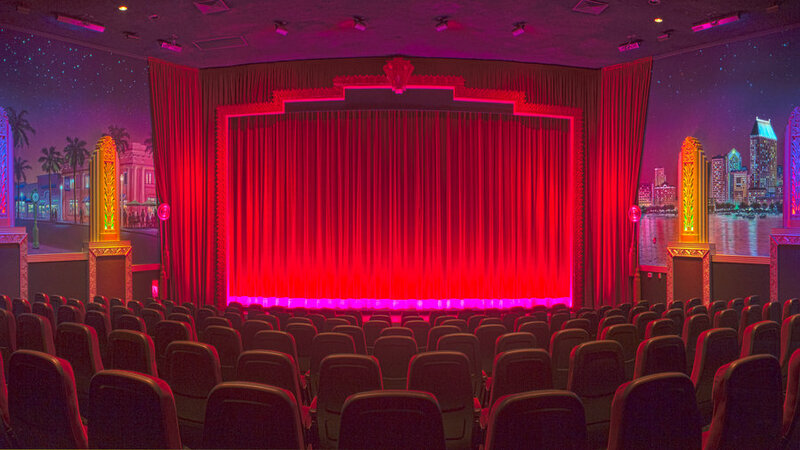 Sitting in the auditorium of Santa Barbara’s Arlington Theatre, moviegoers will feel transported…even before the movie begins. 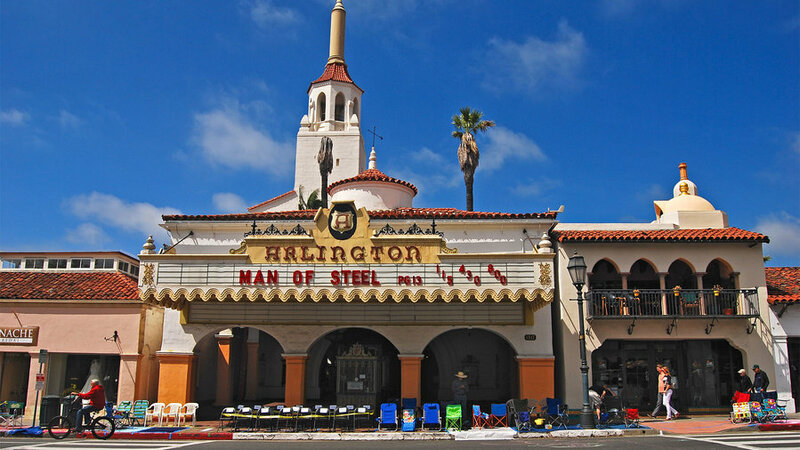 That’s because the 1931 theater was designed to resemble the plaza of a Spanish colonial town—faux buildings line the walls, complete with porticos and red tiled roofs—and, on the ceiling, stars twinkle overhead. Should it come as a surprise that, in a city famed for its geekiness, the historic movie house is a space age-themed Cinerama? Saved from the wrecking ball by Microsoft co-founder Paul Allen, the 1963 theater displays original costumes from Star Trek, Blade Runner, and Batman in its lobby, and draws devotees so eager they’ll camp out overnight for showings of Star Wars and Harry Potter. This tiny art house opened as Collective Fantasy Cinema in 1976, before shuttering three decades later. Today, thanks to the patronage of local cinephile—and Song of Ice and Fire author—George R. R. Martin, fantasy reigns again here, as classics like Forbidden Planet and Back to the Future flicker on the theater’s screen. 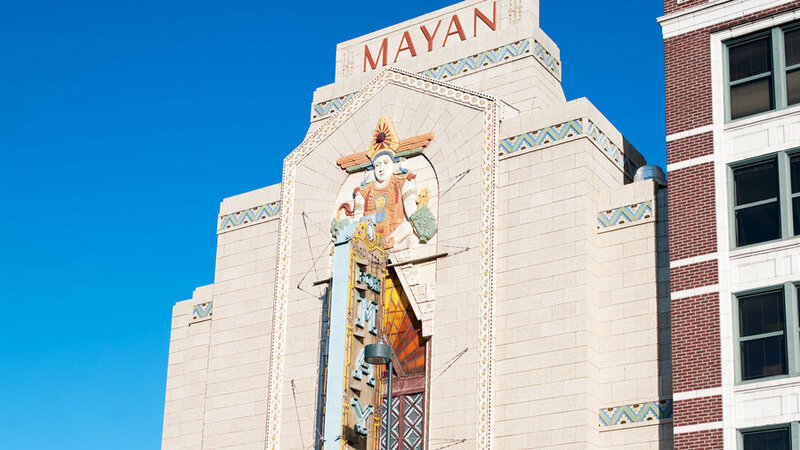 With a stunning pyramidal exterior, a sumptuously decorated interior, and a made-for-the-movies backstory—the theater was, dramatically, saved from near-certain demolition in 1984—the Mayan is nothing if not epic. 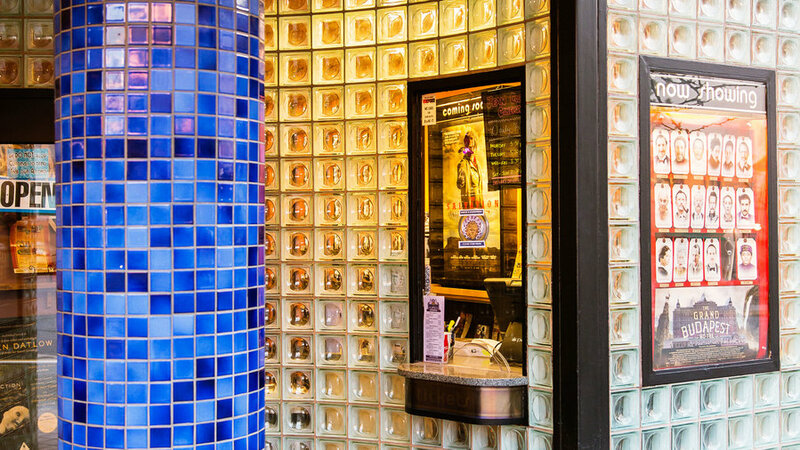 Meticulously restored, the 1930 Art Deco Mayan Revival movie house wears its history proudly, from the colorful sculptures on its walls right down to the popcorn, which is popped on a 30 year-old kettle. 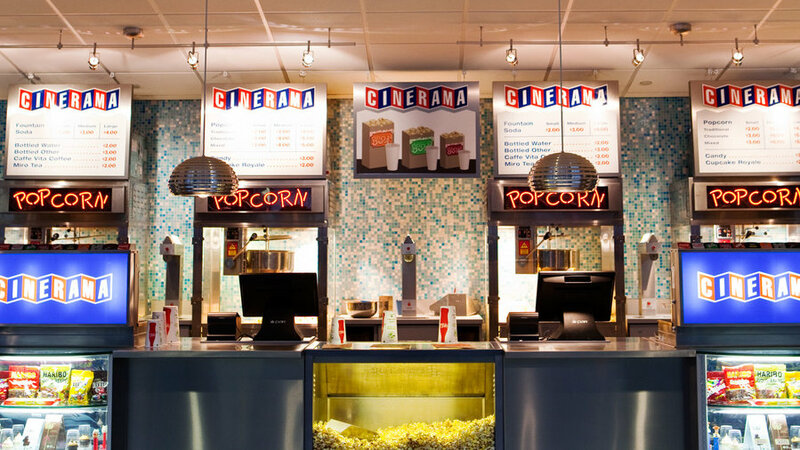 A 500-seat movie theater in a town of 1,225? Unbelievable, yes, but so too is the Hippodrome’s story: in 1996, concerned citizens banded together to purchase, restore, and reopen the 1919 theater, which now hosts not only first-run movies—at the throwback price of $5—but also art shows, concerts, and community events. 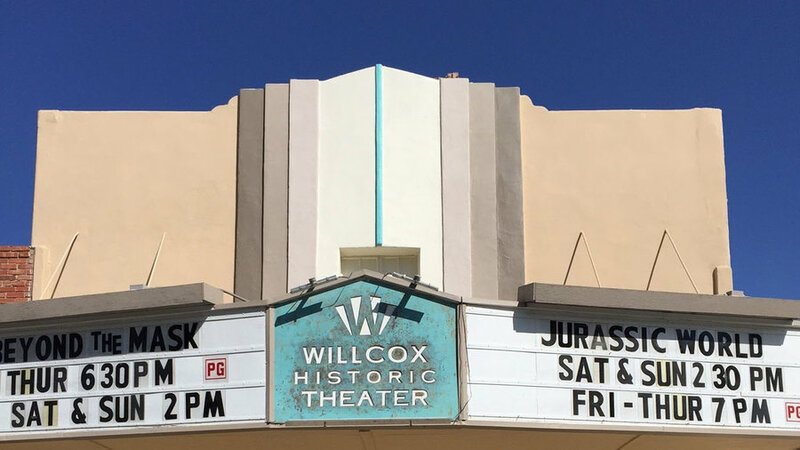 Once run by the Rex Allen Cowboy Museum, now located within walking distance of four wine tasting rooms, the Historic Willcox Theater seamlessly connects the town’s past and present. 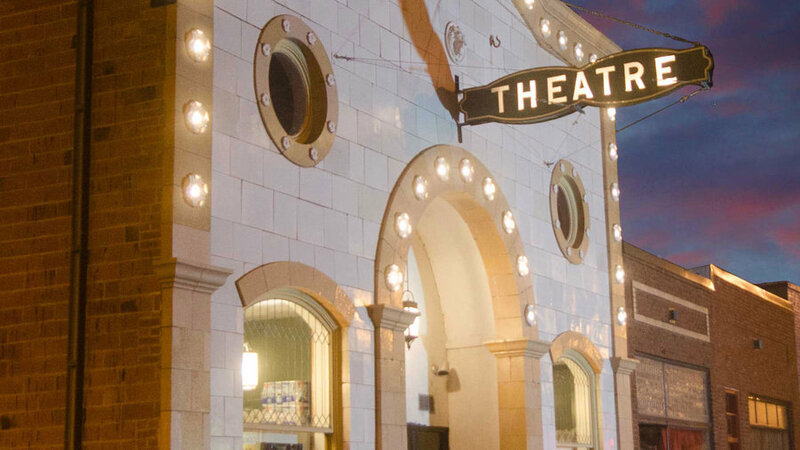 Saved from closure in 2012 by a band of local residents, the 1936 southwest art deco theater now presents opera performances, wine & movie nights, and the annual Southern Arizona Independent Film Festival. When Universal Pictures built this faux Middle Eastern movie house in 1927, they spared no expense, from the bubbling fountain in the lobby, to the stencils on the ceilings, to the neon minarets on the marquee. 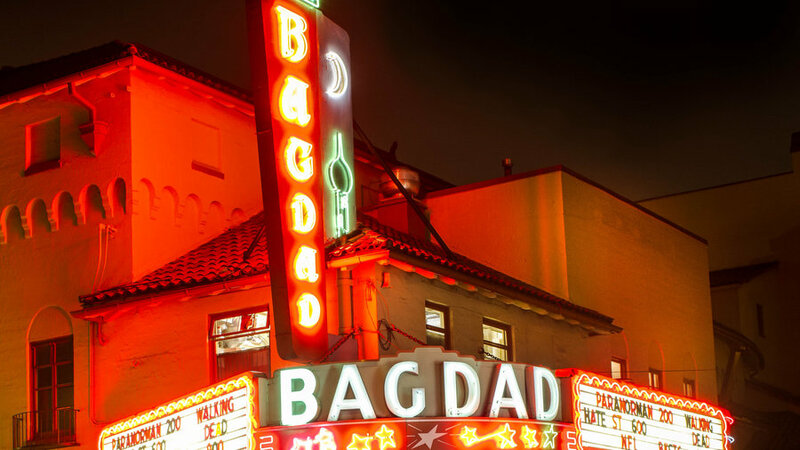 Preservationist-minded McMenamins Company bought the theater in the 1980s, saving the Bagdad and turning it into a “theater pub,” complete with the seven-story Backstage Bar behind the screen. 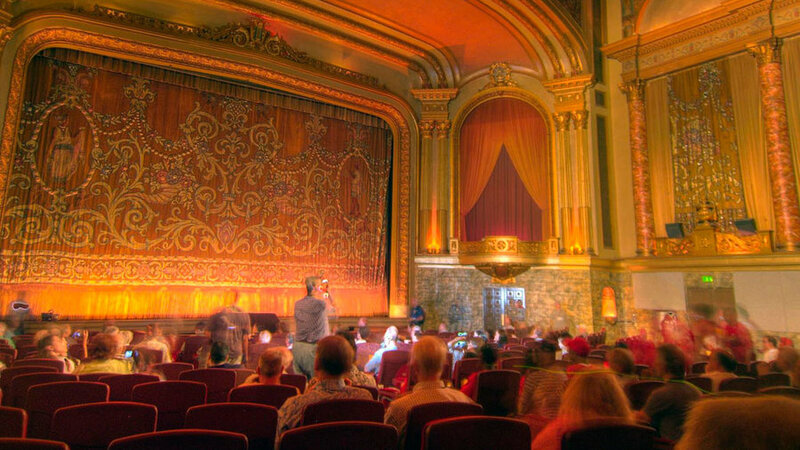 Opened in 1926, Oakland’s Grand Lake Theatre deftly combines old and new. Yes, the marquee often displays spirited commentary on current events, and the bill features first-run movies, but the auditorium walls still shine with classical frescoes and, on weekends, patrons are treated to a pre-show performance on the theater’s original Mighty Wurlitzer.